Hello Friends, The local greenhouses are full and by the end of the month the fields will be full of life. May is all about transplanting…but not too soon! Timing is everything for local West Michigan farmers hoping to avoid a late frost. There is a late frost predicted next week! This will be our 7th harvest season working alongside the West Michigan sustainable farming community. 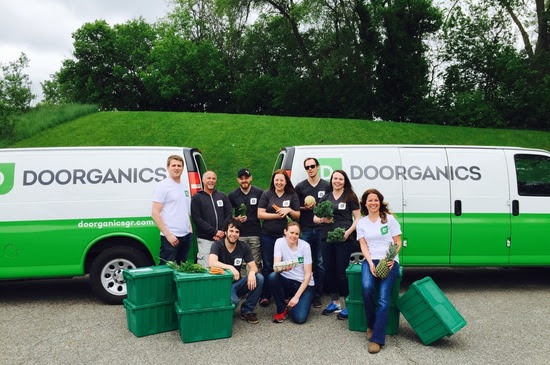 It all started in 2011 when Farmer Dave from Ingraberg Farm (Rockford) saw our vision. Each season we learn a little more about what goes into raising good food in Michigan. We’re forever thankful for the hard work, dedication, and passion that these families put into their farms. 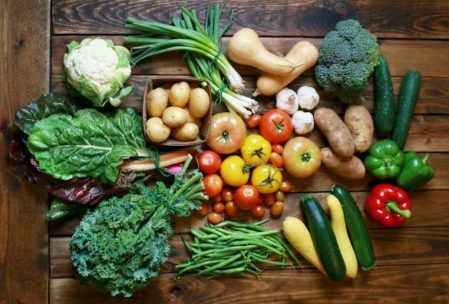 Local produce will start trickling in by the end of the month. Volume begins to increase by the end of June. In July, the floodgates open and the Michigan harvest season truly begins. Mid May: The seedlings are transplanted to the field after the risk of frost is gone. It’s always a challenge to get the seedlings transplanted as early as possible. A late frost can be devastating. Early June: The first few items appear. Spring Garlic, Fast growing greens, herbs, etc. Food grown close to home is fresher, supports our community, and well, we think it just tastes better. That’s why we are beyond excited about the 2nd year featuring our “Local Bin”. The “All Local” bin is for those of you that are extra dedicated to local veggies. This bin will be full of unique and heirloom varieties that are rare to find. Heirloom tomatoes, purple cauliflower, romanesco, purple beans…just to name a few. We hope to have this bin choice available by end of June. How’s that different from a CSA? Substitute items you don’t care for. Add other items to your order, like local pasture-raised meats, farm eggs, baked goods and more! Going out of town? Schedule a vacation. You can even switch back to a regular box at any time. Have a hankering for a banana at any time, not to worry — you can always sub in other items or add them to your order as a purchase! Get Started Today to SAVE $10 on your first delivery! 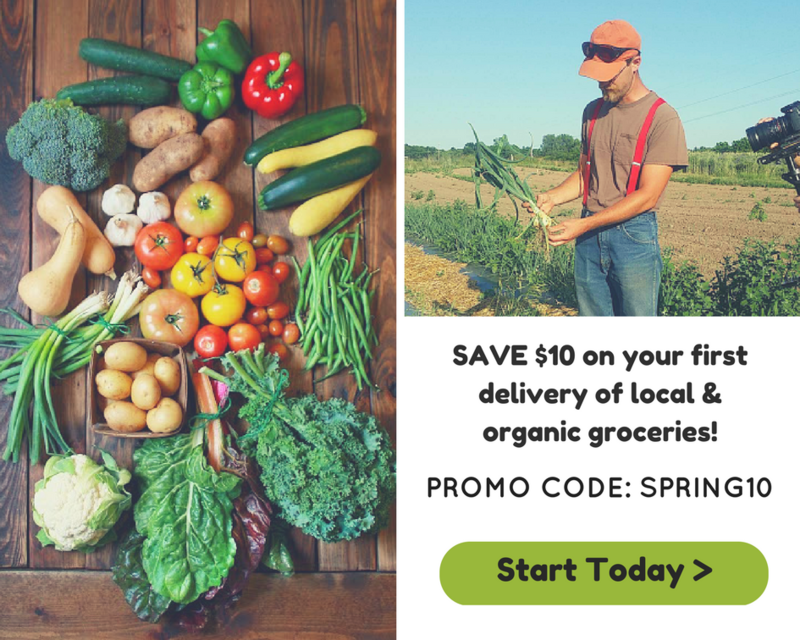 Click Here & Get Started Today to save $10 and lettuce deliver the farmers market right to your front door!